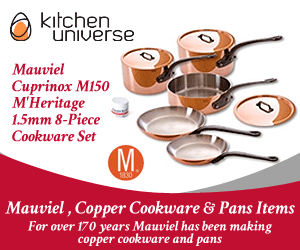 Cookware, Utensils, and Gadgets…Oh My! Non stick pans: The inside story! We’ve looked at our cookware from the outside, talked about various metals your pots and pans could be made of, discussed heat transfer, defined cladding, etc. (click here!) The next thing you’re going to want to consider is what’s on the inside – you know, the part that actually comes in contact with your food.… Read More Non stick pans: The inside story! 8 Cool Kitchen Gadgets For…Here’s what you’ll really use! Margaritaville Frozen Concoction Maker: Review of the Ultimate! Suzi on Non stick pans: The inside story! Frank on Non stick pans: The inside story!